Sandra Beasley interviews Tony Rice for the New York Times. 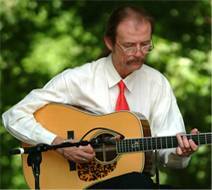 At the 2013 IBMA Awards this year Tony Rice was inducted into the Bluegrass Music Hall of Fame. Tony Rice spans the range of acoustic music, from straight-ahead bluegrass to jazz-influenced new acoustic music, to songwriter-oriented folk. He is without doubt one of the world’s greatest innovator in acoustic flatpick guitar since Clarence White. Over the course of his career, Tony Rice has played along side J.D. Crowe and the New South, David Grisman (during the formation of “Dawg Music”), led his own groups, collaborated with fellow picker Norman Blake and recorded with his brothers. He has recorded with drums, piano, soprano sax, and with straight-ahead bluegrass instrumentation. You can read more of Rice’s biography on his website and more from Rounder Records his record label. Here Tony Rice Acceptance Speech into the International Bluegrass Music Awards Hall Of Fame 2013. Presented by Sam Bush & Peter Rowan. In bluegrass circles, it is being called “The Moment,” and some of the people who saw it wept. I heard about it from Gillian Welch. It involved the master guitar player Tony Rice, who was giving a speech late last month in Raleigh, North Carolina, on the occasion of being inducted into the International Bluegrass Music Association Hall of Fame. Rice, who is sixty-one, is a revered figure in bluegrass. Following the path of his own hero, Clarence White, he established the guitar as a lead instrument in bluegrass, the way Charlie Christian helped the guitar step from the rhythm section in jazz. An admirer of Coltrane and Jascha Heifetz, he played percussive, blues-inflected lines that found unexpected, and sometimes startling, trails through the chord changes. The way certain singers enunciate clearly, so that every word is heard, Rice played with a deep technical command, so that no note was ever lost. He released his first record in 1973, and the shadow of his articulate and forceful style falls across the playing of nearly all other bluegrass guitarists. If you play bluegrass guitar, you have to come to terms with Rice the way portrait photographers have to come to terms with Avedon… Alec Wilkinson. Here’s another review of the Tony Rice Story by Lonesome Road Review. Until this remarkable book by Tim Stafford (a great guitarist, singer and songwriter in his own right) and Carolyn Wright, I knew little of the man who has stood as the master craftsman of the bluegrass and acoustic guitar for about 40 years, taking time to also carve out a niche as one of the finest bluegrass lead singers ever. In short, this book – which is exceedingly well-made and attractive – is everything you ever wanted to know about a musical giant, with the material presented clearly and readably by Stafford and Wright. It will send you to your record collection for the Rice that you do have, and to eBay, County Sales or the record store for what you don’t. It’s a major piece of bluegrass and acoustic music scholarship that belongs on any music fan’s bookshelf – Aaron Keith Harris. Earlier this year we brought you news of the Tony Rice biography by Caroline Wright and Tim Stafford. Ted Lehmann has written a review of the book which is now up on his website – The Ted Lehmann Blog. In assessing Still Inside: The Tony Rice Story, the long awaited and recently released biography by Tim Stafford and Caroline Wright, it’s important to realize that this elusive and extremely important pioneer of modern guitar style and practitioner of wonderfully expressive singing (until he decided he really didn’t like to sing) has told his story for forty years or so through his music, and we shouldn’t expect him to achieve clarity or transparency with his words about his life’s experience or verbal analysis of who he is – Ted Lehmann. Read the full review on the Ted Lehmann Blog. 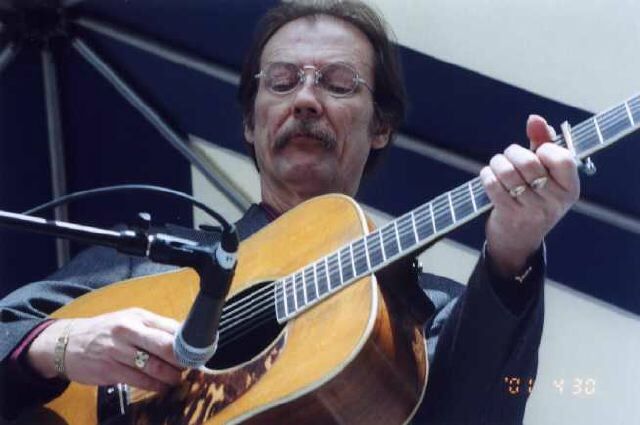 He is one of the greatest acoustic guitar players of all time, yet he’s virtually unknown outside bluegrass music. His closest friends describe him as warm and loving, and then speak in bafflement of his aloofness. He’s a distant demigod in a genre whose biggest stars are known for their accessibility. He’s a genius, a mystery, a legend in his own time. People think they know you because of the way you play and sing. And I am so guilty of that with Tony. I think I know who he is because of his records. I think I know what kind of person he is – Alison Krauss. Every once in a while, there are seminal figures. They don’t come along even every five years. You might, by a fluke, get two of them in 20 years. Tony’s one of those guys – Bela Fleck. I’ve never heard nobody, unless it’s Tony Riceâ – he might come close – that plays rhythm like I do – Jimmy Martin. The Tony Rice Story Released on 12th April. The long awaited release of the biography of one of bluegrass’s most revered guitar players, Tony Rice, is almost upon us. Industry news has the release scheduled to co-inside with Merlfest on 12th April this year. Tony’s story is told in his own words and features memories and insights from dozens and dozens of his family members, friends, and fans with an inside look at his life on and off the road. This is a bibliography of suggested reading for serious fans. More than 100 never-before published photos. Still Inside: The Tony Rice Story might be the bluegrass literary event of the year. Woven throughout the anecdotes and memories are excerpts from a journal written by co-author Caroline Wright, who went on the road with Tony for a couple of weeks in the summer of 2003 and again in 2005, interviewing him as he drove to festivals, clubs, and recording studios. Caroline documents his everyday life in detail, and discovers things about Tony that will astonish and intrigue even his most knowledgeable fans. Thanks to Blue Highway’s Tim Stafford, a highly respected acoustic guitarist in his own right, this book also provides insight into Tony’s matchless guitar playing. Tim explores Tony’s technique, his timing, his right hand, his choice of picks, and much more. Tim also discusses the life and times of Tony’s prize possession, formerly owned by the great Clarence White: the 1935 Martin D-28 Herringbone guitar also known simply as The Bone or The Antique. You can pre-order your copy of The Tony Rice Story by going to this link and entering your email address – Still Inside: The Tony Rice Story. Still Inside: The Tony Rice Story. The highly anticipated authorised biography of acoustic guitar legend Tony Rice is now in the final stages of production and will be released in the very near future. Many consider Rice the greatest acoustic guitar player of all time. 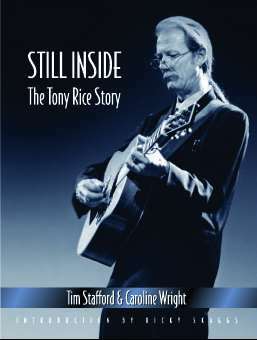 Still Inside: The Tony Rice Story, written by Tim Stafford and Caroline Wright, is Tony’s incredible life in his own words and those of witnesses, friends, family, and fellow musicians. The biography covers Tony’s entire life from toddler to living legend, from North Carolina to California, from bluegrass to jazz and all points in between. Tony discusses his real and musical family, his biggest influences, his greatest moments and tragedies such as the loss of his father, his first gigs to his latest, and finally his voice. The book is full of eyewitness accounts from the people who were there when it all happened. His mother Louise and many other family members share their memories of Tony’s life as a child all the way up to today. Musicians such as Sam Bush, J.D. Crowe, Jerry Douglas, David Grisman, Alison Krauss, Ricky Skaggs, and many many others share their stories of Tony and how it all began back in the days of playing bluegrass when bluegrass wasn’t so cool. Over 100 people were interviewed for this exhaustive book, which has been ten years in the making.